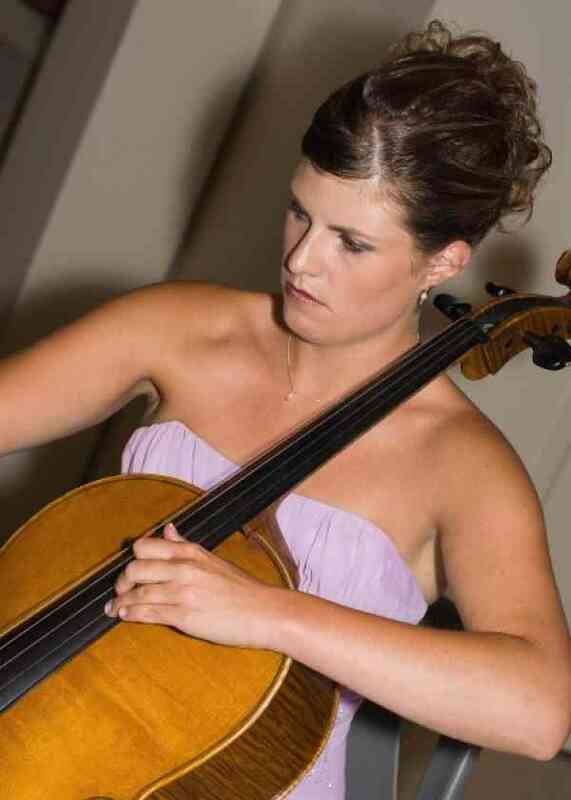 Geneviève Schirm-Joyce began playing the cello at the age of 2 with Jo-Anne Goyder under the Suzuki method. A typical Suzuki child, she did both private and group lessons, youth orchestras and attended numerous summer institutes. Winning several scholarships through the KW Youth Orchestra, Geneviève also won the Concerto Competition performing Vivaldi’s concerto for two cellos. After attending Wilfirid Laurier University, where she obtained an Honours Bachelor of Music (studying with Paul Pulford) as well as a Bachelor of Arts in French, and a Diploma in Chamber Music, Geneviève went to the University of Denver to get her Masters in Suzuki Pedagogy with Carol Tarr, which she completed in June 2009. Geneviève is currently teaching in Kitchener-Waterloo, Ontario, where she lives with her husband, Marc and her young son Olivier.